SEOUL/DAEGU (Yonhap) — Three lawmakers of the ruling Saenuri Party quit the party Wednesday to run in next month’s parliamentary race as independents, following a factional feud over the candidate selection process. 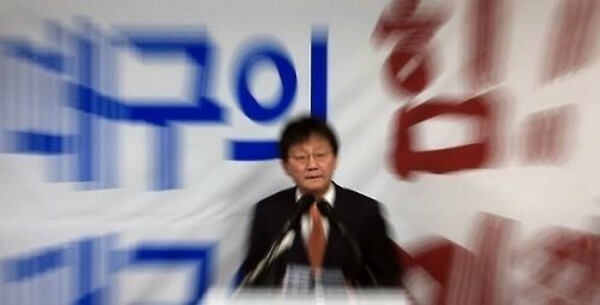 Yoo Seong-min, former Saenuri floor leader, announced that he will leave the party after the nomination committee failed to nominate him for the ticket for the April 13 general poll. “The party showed politics based on anachronism and retaliation,” Yoo said at a press conference in his precinct in the central city of Daegu. Yoo — originally the key member of the pro-Park Geun-hye faction within the party — has been under pressure by his colleagues to either drop his election bid or leave the party. 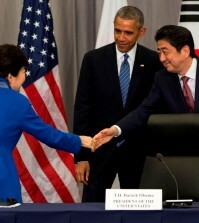 Yoo stepped down as floor leader post in July 2015 after President Park publicly lambasted him for leading negotiations with the main opposition party on the passage of a parliamentary revision bill. Rep. Lee Jae-oh, a five-term lawmaker and considered an opponent of the pro-Park faction, also officially left the party Wednesday. Lee, who had failed to receive the party nod, will make an announcement Thursday to run as an independent. Joo Ho-young, a three-term lawmaker of the ruling party, also said that he will run for a fourth term as an independent after he failed to win the party’s nomination. Candidates will officially register their official bids with the country’s election watchdog, the National Election Commission, on Thursday and Friday. The Saenuri Party has vowed to carry out sweeping reforms in their candidate selection process, which has often been cited as the reason for public distrust of major political parties. A number of veteran Saenuri lawmakers have since left the party to either run as independents of join the opposition bloc.